Clinical intelligence on your PC, Mac or tablet PC. Web Viewer provides remote access to patients’ clinical information in near real-time, enabling you to closely observe a patient’s condition while you are away from the bedside. It operates on a standard PC, Mac or tablet PC, enabling you to quickly check the status of your patients directly from your PC without making a trip to the bedside or even to the hospital, helping you make fast, informed decisions. 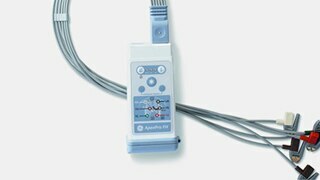 The multi-patient view capability supports viewing of up to 16 patients simultaneously. The Web Viewer unites patients, providers and information to support more productive workflows and help improve the quality of care. Note: The Web Viewer is not a primary alarm source. 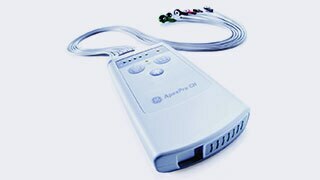 The device is for use by qualified medical personnel only. 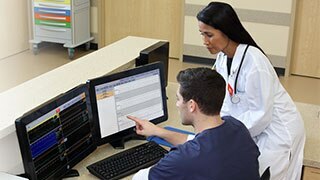 Vigilant care from virtually anywhere: Web Viewer helps you stay connected to your patients with your PC, Mac, or tablet, so you can help deliver attentive, responsive patient care from virtually anywhere. Up-to-the-moment access to patient events: Web Viewer visually displays active alarms from the patient monitoring network for a prompt view of your patient’s status. Compatible with standard technologies: Web Viewer makes patient information accessible via standard technologies and devices that many clinicians are already using, including Web-enabled PCs, wireless laptops, and tablet PCs.